International Truck and IC Bus are showcasing the industry’s only fully integrated electric school bus, the chargE™, at this year’s Green Transportation Summit & Expo (GTSE). Additionally, IC Bus will host a ride and drive with chargE for conference attendees at the Pacific Raceways in Kent, Wash., on Thursday, April 19, from 12:00 to 5:00 p.m. PDT. As a presenting sponsor, International Truck and IC Bus are laying out a clear vision of why the school bus and medium-duty truck segments are a natural fit to bring electrification to the commercial vehicle market. The chargE is a purpose-built, fully integrated electric Type C school bus from one of the industry’s most trusted Original Equipment Manufacturers (OEMs), IC Bus. This concept school bus incorporates a common group electric drivetrain from alliance partner Volkswagen Truck & Bus that is quiet, does not produce any emissions, and can be built to address any school bus customer’s specific requirements. The range of the chargE can exceed 120 miles, while the powertrain can deliver up to 260 kW (about 349 peak horsepower). It also includes connected systems and remote diagnostics that support vehicle safety, uptime and more efficient vehicle inspections. The chargE also features an exclusive, purpose-built camera solution, the IC Bus Full View Camera Technology™ by Rosco, that makes the driver’s job easier and safer. Navistar and Volkswagen Truck & Bus announced their electric school bus initiative at the inaugural North American Commercial Vehicle Show in Atlanta this past September, when they also announced plans to develop an electric-powered, medium-duty vehicle for Navistar’s Core (U.S. and Canada) market that is expected to launch in late 2019 or 2020. IC Bus recently kicked off a national tour with chargE which includes scheduled stops at trade shows, school visits, and local government events throughout the country; GTSE is the fifth major stop. To learn more about the chargE and many additional innovations from IC Bus and International Truck, visit block 311-410 on the 2018 GTSE Show Floor at the Greater Tacoma Convention Center, an IC Bus or International Truck dealer or online at www.icbus.com/electricbustour. 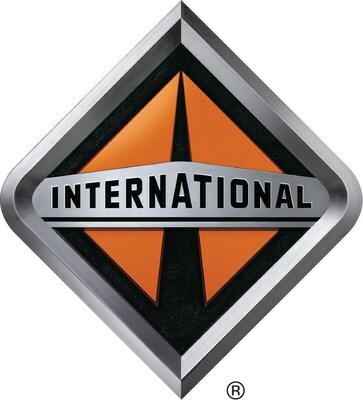 Navistar International Corporation (NYSE: NAV) is a holding company whose subsidiaries and affiliates produce International® brand commercial and military trucks, proprietary diesel engines, and IC Bus®brand school and commercial buses. An affiliate also provides truck and diesel engine service parts. Another affiliate offers financing services. Additional information is available at www.Navistar.com.